Writing and performance of a one-man, live hip hop gardening show and educational programme. Pilot shows at Southbank Centre Oct’15 and Olympic Park Gardens Jun’16. 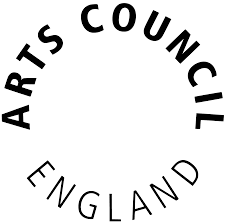 Ongoing application for further funding from Arts Council, England. Workshop facilitator, providing engaging creative writing and youth management workshops for students (ages 10-19), teachers, youth groups and youth care workers. Rap music teacher at educational sites throughout Essex. Songwriting, music studio & performance programme tutor for youth (ages11-18) at The Green Man Community Arts Centre. Delivering songwriting and performance instruction for the various projects run by The Trust. Providing workshops that help youth ages 11-19 produce, record, perform/host and air content for online radio shows and podcasts.